Welcome to the SedonaEye.com Daily News and Views web site! Founded in 2005, the Sedona-Verde Valley Times newspaper began publishing approximately every six to eight weeks. In 2008, its then owner and publisher changed the name of the newspaper to Sedona Times after paying $200 to the Trade name’s owner of record. In April 2010, at the Celebration of Sedona 2010 event attended by the City Council and elected government officials and over 200 paying guests at Los Abrigados Resort and Spa Creekside, 80-year-old Rita Livingston formally announced her retirement and the sale of the newspaper and its assets and liabilities, and introduced C. Bentley Hill as the new owner-publisher of the Sedona Times. Hill was immediately joined by Eddie S. Maddock, as an Editorial Assistant, and front page writers Dr. Mel Copen, Robert S. Wood, Joni Dahlstrom, Eddie Maddock, and a new team of writers who signed-on for a May 6, 2010 newspaper edition. After publishing monthly, on the first day of January 2011, the Sedona Times Publishing (SedonaTimes.com) went fully digital as the new and improved daily interactive SedonaEye.com. The Sedona Eye rapidly grew to more than 3700 local self-subscribed readers by December 2012 from a mere 206 subscriptions in December 2010. In 2018, its website and social networking sites are followed daily by thousands. SedonaEye.com is and has been home to contributing opinion writers Eddie S. Maddock, Sean Baguley of Eye on Sedona Real Estate, Alejandro Gutierrez with Monday Morning Coffee, Hollywood Jim Franckowiak on Out and About Arizona and Sedona, Kim Johanson on Senior Health Care and Issues, Heather Kay on Sedona Lifestyles, Gary Chamberlain of Folksville USA, Poco Diablo McGuire as SedonaEye.com Star Four Paws Up Pet Columnist, and many others. When pulp printed, approximately 10,000 newspapers were direct mailed to subscribers and mail boxes in Sedona, Village of Oak Creek, Oak Creek Canyon, the Verde Valley and Arizona towns and cities. Due to increasing fees and printing costs, Sedona Times Publishing newsprint reserves the right to print or not to print, publish and or distribute, and is not liable for frequency and or promises otherwise. 95th Street Consulting Inc., a Delaware corporation reserves the rights to Sedona Times, Sedona Times Publishing, STP, ST, SE, Sedona-Verde Valley Times, SedonaEye.com, SedonaTimes.com, Sedona Eye LLC, and Sedona Times Publishing LLC, including but not limited to, Internet domains of same separately and in conjunction with Sedona Eye LLC and Sedona Times Publishing LLC, Arizona Limited Liability Corporations. Name infringement or copyright infringement will be met with full legal recourse. Sedona Eye, LLC holds an Arizona Corporation Commission trademark. All advertising revenue is legally and solely payable to the Sedona Times. Online invoicing is available upon request. 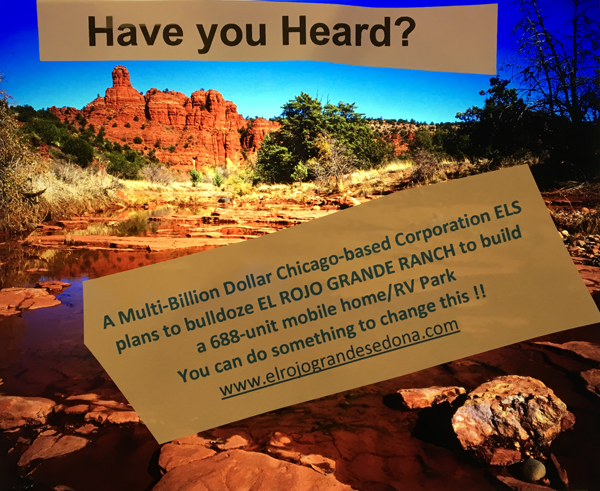 Emails that reach SE news, marketing and sales staff: Publisher@SedonaEye.com or Editor@SedonaTimes.com and Ads@SedonaTimes.com and Sales@SedonaEye.com. Local, regional, national, and international news and views are welcome. Interested writers may choose to submit articles for consideration to the Sedona Eye website and or by email to Editor@SedonaEye.com. Publication or use is not guaranteed. The SedonaEye.com does not compensate writers or commentators or contributors for submissions. The Sedona Times Publishing listens to its Verde Valley voices. If you don’t get the Times, you just don’t get it. 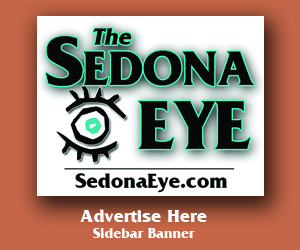 Follow the Eye for the best in Sedona and Arizona news and views on SedonaEye.com, formerly SedonaTimes.com. 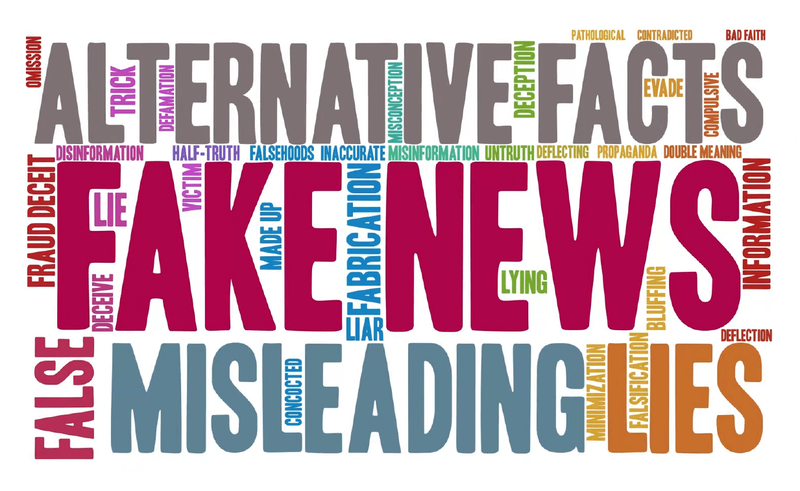 Copyright 2010, 2011, 2012, 2013, 2014, 2015, 2016, 2017, 2018, 2019 Sedona Times, Sedona Times Publishing, SedonaTimes.com, SedonaEye.com, Verde Valley Voices and Sedona Eye. Copyright 2010, 2011, 2012, 2013, 2014, 2015, 2016, 2017, 2018, 2019.